Xylitol-containing chewing gums can be used as an adjunct to regular home care preventive procedures to prevent dental caries, finds a study published in the Indian Journal of Dental Research. Xylitol has been shown to reduce S. mutans levels in plaque and saliva and can also promote an ecological shift, to markedly reduce tooth decay. Xylitol is a sugar substitute with sweetness equal to that of table sugar. About 5–15 g of xylitol may be formed daily in the body, mostly in liver cells. It is not fermented or used as a growth substrate by Streptococcus mutans or by other microorganisms. Sucrose free chewing gums act as a delivery vehicle, which contains appropriate amounts of dental protective substances, which either alone or in combination may be used in preventive health programs to improve oral health. Chewing gums containing xylitol have received special attention since mechanical cleaning together with saliva stimulation is very likely to benefit further over and above the antibacterial effects of the polyol. 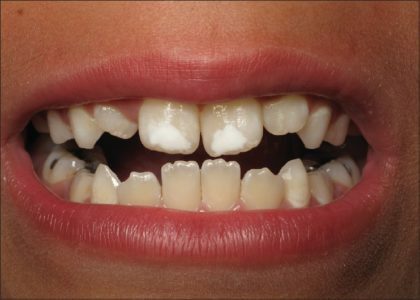 Anil V Ankola and associates conducted a triple-blind randomized controlled field trial to assess and compare the effectiveness of xylitol and polyol chewing gums on salivary Streptococcus mutans in 12–15 years old schoolchildren. A total of 136 children underwent the screening procedure out of which 84 children fulfilled the study inclusion and exclusion criteria. Out of these, 60 children were randomly selected by lottery method, 20 children in each group to constitute the sample size. The investigator was blinded about the group allocation and the chewing gums used by the children. Xylitol chewing gum– Group I, polyol chewing gum– Group II and control group (with no chewing gum)– Group III. Patients were instructed to chew one pellet two times a day after meals for 5 min each for 30 days. Salivary samples were collected at baseline, 30 days after chewing gum use and 30 days after discontinuation, for microbiological analysis. The results of the trial found that chewing 100% xylitol chewing gum twice a day for 5 min for 30 days can successfully reduce salivary S. mutans counts. The xylitol gum has shown a maximum benefit against salivary S. mutans when compared to polyol gum and control group. Xylitol is not fermented by cariogenic plaque bacteria and thus, does not lower the pH of plaque. As the plaque pH does not decrease, enamel demineralization is prevented, and plaque bacteria do not proliferate. Xylitol is absorbed and accumulates intracellularly in S. mutans. Xylitol competes with sucrose for its cell-wall transporter and its intracellular metabolic processes. Unlike the metabolism of sucrose, which produces energy and promotes bacterial growth, S. mutans expends energy to break down the accumulated xylitol without yielding energy in return. Dental caries is a widespread, multi-factorial, infectious disease which causes a significant public health problem for a large segment of society both as a disease and as an economic burden.